Thousands expected to turn out for Dolly Parton’s Imagination Library Benefit Concert in Kingstree, South Carolina on Oct. 21, 2007. Jacob Timmons & Randy Parton benefit concert expected to be huge hit in Kingstree, South Carolina, October 21, 2007! Kingstree, South Carolina October 1, 2007 Since the September 11th press release which announced news of the Free Dolly Parton’s Imagination Library Benefit Concert starring Jacob Timmons, Randy Parton and a special video remote appearance by the queen of country music Dolly Parton, excitement and anticipation has taken over the Carolinas from top to bottom. Cherry Grove to Charleston, South Carolinians are making plans to attend this fantastic event. Never has there been so much excitement to fill the air. Maybe it’s because the event will feature an exclusive video remote by Dolly Parton and the people of South Carolina really are excited about having Dolly’s Imagination Library in their communities for their children. Thanks to a media blitz including internet marketing, print media, radio media and television media such as an exclusive interview with Dolly Parton, the effort of local man, Jacob Timmons along with his friends the Partons, as well as Kingstree Mayor Jim Kirby and Pig Pickin’ director of events Mike Kirby seem to be paying off Big Time! From local news papers to national print publications, from public television and radio to national broadcast stations, everyone is talking about this exciting news worthy event that’s taking place at the Kingstree Recreation Park in Kingstree. SC. Local businesses and major corporations are all jumping onboard to help raise awareness for Dolly Parton’s Imagination Library program so that it can soon become a reality for all children of South Carolina! During our interview, Timmons continued to reminisce of when he and his family were hard working farmers in rural areas outside of Kingstree city limits. It seems even though the days of farming and working at their family ran market “Timmons’ Produce” were many times hard, to say the least, Timmons wouldn’t want it any other way. Thanks to local and national businesses coming forward to help with the event, the Williamsburg County Imagination Library is having 2 vacation raffles. Raffle Tickets available now for 2 fantastic vacations! *All prizes to be awarded during Sunday nights performance. * For a complete list of raffle ticket locations in your area call 865-774-9023. If you are a business interested in sponsoring the Dolly Parton’s Imagination Library Benefit Concert, please call 865-774-9023 or visit http://www.jacobtimmons.com/. For additional information about the 35th Annual Pig Pickin’ Festival, visit http://www.kingstreepigpickin.com/ or call the town of Kingstree at 843-355-7484. © 2007 S.D.360 PRESS TEAM All Rights Reserved. Dolly Parton debut on "Dancing with the Stars" with new single "Better Get to Livin"
Tonight, September 26, 2007, the international television phenomenon, “Dancing with the Stars” results show will feature the world famous mega star Dolly Parton as she debuts her new single “Better Get To Livin”. The new album, “Backwoods Barbie” has critics agreeing that Dolly Parton is about to make music history with her new album. The album features songs that defy the standard genres of music and are sure to have people running to the stores for the new album and clicking online to buy the new hit tune at iTunes™. Visit Dolly Parton’s Official Website, http://www.dollyparton.com/ to see a sneak preview of what’s to come for 2008 when the “Fantastic World of Dolly” is revealed to fans all over the world! In other news, Dolly Parton will make a special video remote appearance during the 35th Annual Pig Pickin’ Festival on October 21, 2007 at 7pm in Kingstree, South Carolina for the very 1st Annual Dolly Parton’s Imagination Library Benefit Concert. The concert was written and produced by Jacob Timmons of http://www.sdwebpros.com/ and will feature performances by Timmons, Randy Parton, Heidi Lou Parton, Indi Ortiz, Ryan Morris, Charlie Walker and the Moonlight Bandits. The concert will raise money to help provide the Imagination Library program to the over 4,000 eligible children throughout the area and also raise awareness for the program to quickly become a reality for all children of South Carolina. 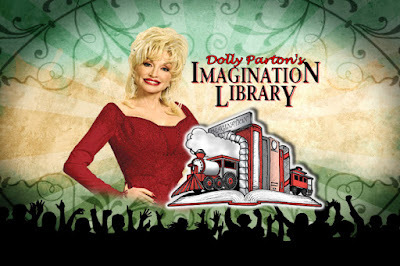 For complete details of Dolly Parton’s Imagination Library Benefit Concert, visit http://www.jacobtimmons.com/ and for complete festival details, visit http://www.kingstreepigpickin.com/. If you are interested in press media, please email jacob@sdwebpros.com or call 865-774-9023.